Only now in the national spotlight, the city of Flint, Michigan has had problems with its water for nearly two years. Those problems include iron and lead. In 2014, the financially destitute city switched its water supply from Detroit’s Lake Huron to the much closer Flint River- a cost-saving measure while the city built infrastructure to use a cheaper, cleaner water source. Among the wide variety of pollutants and toxins in the Flint River is a high concentration of chloride. The chloride in the water rapidly corroded the city’s aging pipes, which introduced high concentrations of iron and lead into the water. Those elements are causing and will continue to cause debilitating conditions and side effects for the residents of Flint. Although the city’s Emergency Managers played an especially strong role in the switch to the Flint River water, but the current crisis appears to be the result of concurrent failures by several of the parties involved- the governor, Michigan’s Department of Environmental Quality (DEQ), the EPA, and the Emergency Managers. As a result, residents of Flint recently filed a class action lawsuit against the state, the city, and 15 current and former officials. They are currently seeking other residents to join the class of plaintiffs. Unfortunately, the framework of their case means that they face substantial legal obstacles. In bringing a suit against the DEQ, the plaintiffs will likely find it difficult to impose liability on the named parties. The complaint lists seven DEQ officials as defendants, citing deliberate actions that allegedly caused and prolonged the toxic water conditions in Flint. The DEQ is charged with ensuring that Michigan’s water remains clean and overseeing use of public water supplies, so the plaintiffs would seem, intuitively, to have a strong case against the agency’s officials. The problem for the plaintiffs is that it is typically difficult to sue agency officials in the exercise of their duties. The general rule for public officials is that they “shall not be subjected to the harassment of civil litigation or be liable for civil damages because of a mistake of fact occurring in the exercise of [their] judgment or discretion”. Specifically, because of the principle of “qualified immunity”, the government essentially holds that officials cannot be held liable for mistakes made in the exercise of their duties. As defendant and former director of the DEQ Dan Wyant said before his resignation over the scandal, the problems are arguably a result of failing to properly administer the EPA’s Lead and Copper Rule, which requires that various steps be taken if the lead levels in a water system exceed 15 parts per billion. A Virginia Tech research team found lead levels in some homes that measured in the thousands of parts per billion, clearly indicating a serious failure at some level of the agency. There have also been claims of misinformation, lax procedures, and mistakes made at the lower levels of the agency. However, those errors fall under the category of the “mistakes of fact” mentioned previously because they were made in regular (if allegedly poor) performance of the officials’ duties. As a result, suing the DEQ officials for a civil claim like negligence would be extremely difficult, as any level of negligence in and of itself would not necessarily meet the “knowingly incompetent” standard for qualified immunity. Instead, the plaintiffs’ complaint alleges that defendants knew about the extreme toxicity of the water and refused to act on it. The DEQ in particular is alleged to have ignored “overwhelming” evidence of the damage being done to Flint for “months”. The specific legal “hook” for the claim is USC §1983- Civil Action for Deprivation of Rights, also known as the “Ku Klux Klan Act” (the act was originally passed to prevent abuses of power related to Ku Klux Klan victims in the South). It states that if a person, under color of law, deprives a citizen of their constitutional or statutory rights, he or she can be held liable for said deprivation. It isn’t enough for a constitutional right to be violated, though- the right must be one that the official should have known he or she was violating. 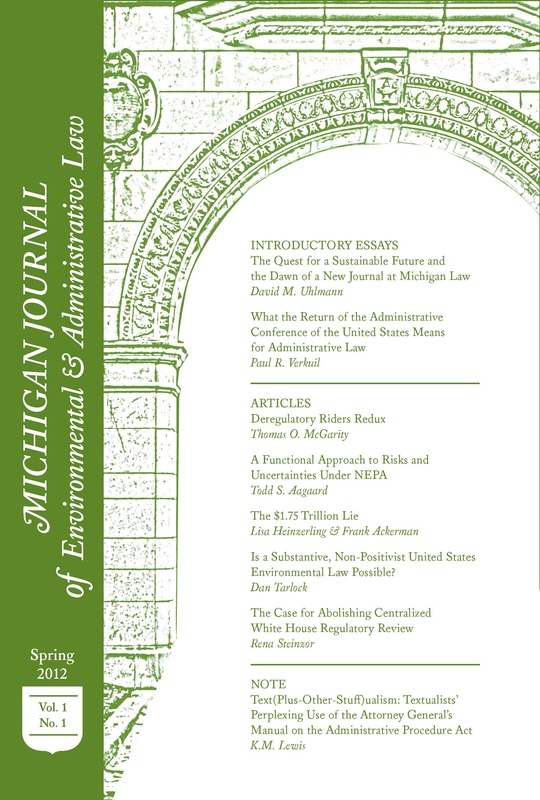 In this case, the complaint alleges that the residents of Flint were denied their 14th Amendment right to substantive due process in two ways- first, that the state created a danger to the plaintiffs, and second, that the plaintiffs’ bodily integrity was violated by the inadequately treated water. Assuming the qualified immunity defense is defeated, the plaintiffs will have to prove that the officials should have known that this was a violation of citizens’ constitutional rights, and it is not clear that they will be able to do so. For procedural reasons, the case will likely take a long time to play out. For example, before discovery can begin, the court must rule on the defendants’ affirmative defense of qualified immunity. A decision in the defendants’ favor can be appealed immediately by the plaintiffs, leading to further proceedings before the rest of pre-trial can even begin. On the whole, the qualified immunity defense may be a difficult one to defeat, and the case that follows could be equally difficult to win. Regardless of how the class action turns out, residents of Flint can at least find some solace in the fact that the federal government is assisting the state of Michigan in providing relief and that the new pipeline from the Huron River is scheduled to be completed later this year. Sara Ganim and Linh Tran, How tap water became toxic in Flint, Michigan, CNN. (Jan. 13, 2016, 10:53 AM), http://www.cnn.com/2016/01/11/health/toxic-tap-water-flint-michigan/. Siddhartha Roy, Flint River water is very corrosive to lead, and causing lead contamination in homes, Flint Water Study Updates. (Sept. 2, 2015), http://flintwaterstudy.org/2015/09/flint-rivers-water-is-very-corrosive-to-lead-and-causing-lead-contamination-in-homes/. Mike Martindale and Jennifer Chambers, Class-action lawsuits filed over Flint water crisis, Detroit News. (Jan. 19, 2016, 3:53 PM), http://www.detroitnews.com/story/news/local/michigan/2016/01/19/flint-lawsuits/79016968/. Complaint for Injunctive and Declaratory Relief, Mays v. Snyder, 2 (E.D. Mich. filed Nov. 13, 2015). Water, Department of Environmental Quality (2016). http://www.michigan.gov/deq/0,1607,7-135-3313—,00.html. Cooper v O’Connor, 99 F.2d 135, 138 (D.C. Cir. 1938). Ian D. Forsythe, A Guide to Civil Rights Liability Under 42 U.S.C. § 1983, Constitution Society, http://www.constitution.org/brief/forsythe_42-1983.htm. Lead and Copper Rule, United States Environmental Protection Agency (Jan. 6, 2016), http://www.epa.gov/dwreginfo/lead-and-copper-rule. Harlow v. Fitzgerald, 457 U.S. 800, 801 (U.S. 1982). Complaint for Injunctive and Declaratory Relief, Mays v. Snyder, 24 (E.D. Mich. filed Nov. 13, 2015). Crawford-El v. Britton, 523 U.S. 574 (U.S. 1998).